So I meant to blog about our trip right after it happened, but then things came up ( I ended up needing surgery a few days ago). And then I was afraid to blog about it weeks after it happened. But I decided what the heck, I'll share anyways since it was such a beautiful weekend. A few weeks ago, we drove down to mexico with our sweet friends (Matt and Cara) just for a quick trip away to Mexico. This is such a family friendly quick trip from San Diego and I can't stop recommending this to all my friends with families. 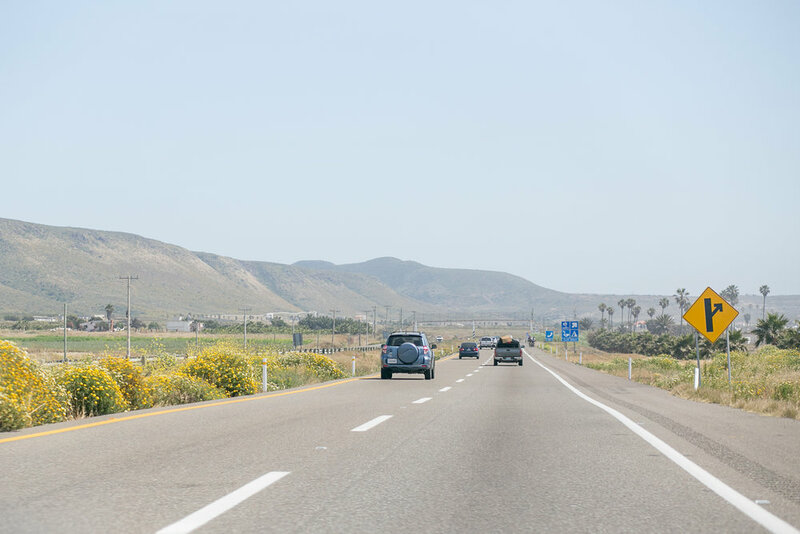 This spot is right between Ensenada and Rosarito, off the La Salina Exit. It's my favorite thing about going to the Baja Coast, is the empty open beaches. The beautiful dunes were in full bloom and there were wildflowers everywhere. There are neighborhoods you can rent homes in, with their own private sandy beaches. 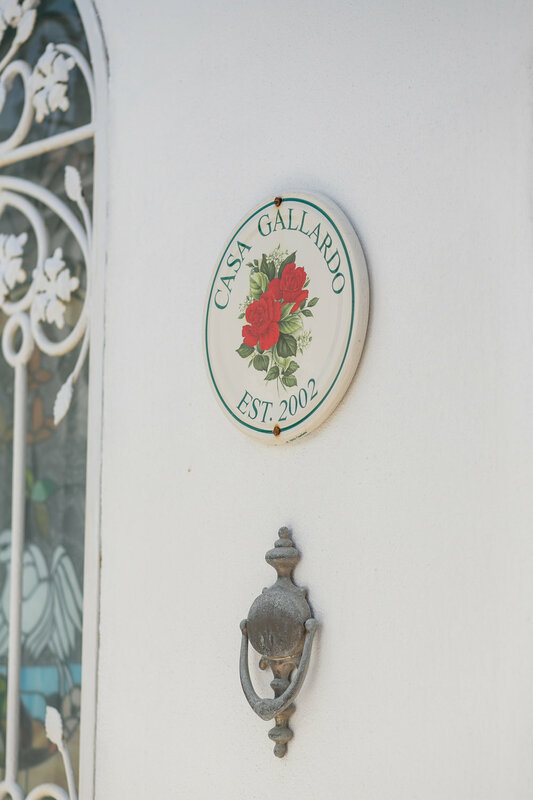 We were lucky enough to stay in a home that belonged to Matt's friends family, named Casa Gallardo. We arrived on Friday and headed straight to the beach for an afternoon of lounging in the sun. 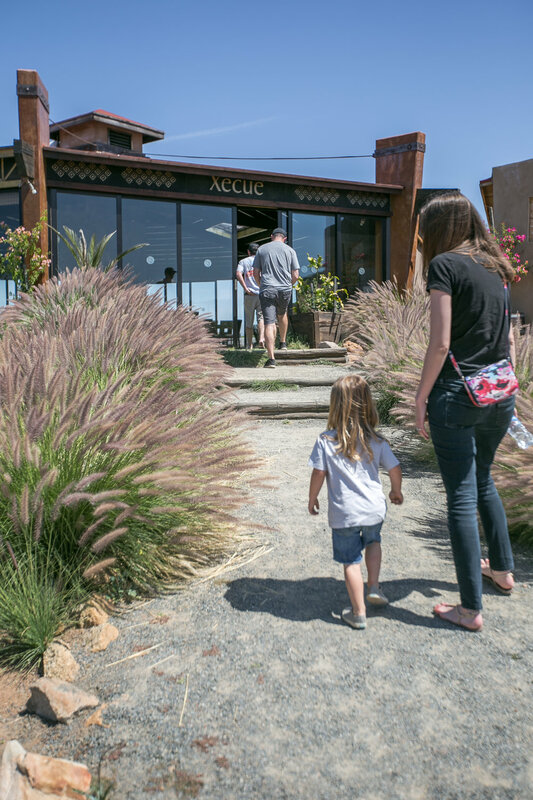 We went inland for the day on Saturday and headed into Valle de Guadalupe wine country, and went to a couple amazing wineries. 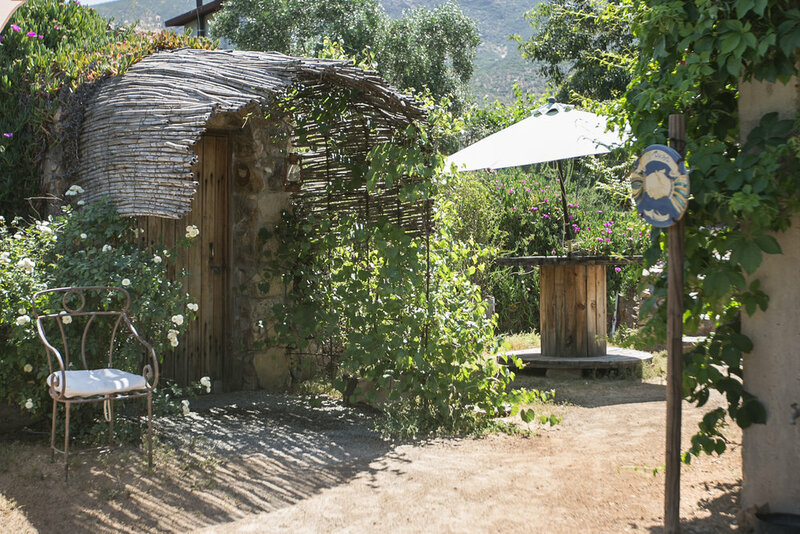 April is the perfect time to head to Valle de Guadalupe, it's green and lush and really pretty quiet. And the vines are just turning green and starting to grow. On the way in we stopped at a roadside wine tasting spot, that I don't remember the name off but I do remember chasing Waylon (the 3 year old around) and helping kiss boo boos. Tres Mujeres was the first real winery we went to, and they were so accommodating (we arrived before 10 minutes before their opening time and let us come in early). They have this awesome little wine cave, and have an established reputation, having been in business for over 12 years. And the wine, amazing!!! For $5 we got 3 tastings. After that, we stopped over at Xecue Winery, which was also amazing but definitely a very different type of winery. It's larger and had way more wine tasting options. I don't remember the exact cost but we had something like 6 tastings for I think closer to $15-20. It is such a lovely spot, it would be perfect for a wedding or event, with a great beautiful open center space. We got lucky and got to hang for an hour chatting with the owner all about the life of a winery owner. After all that wine we headed home and Eddie and I went out and got everyone tacos, while everyone took a nap. 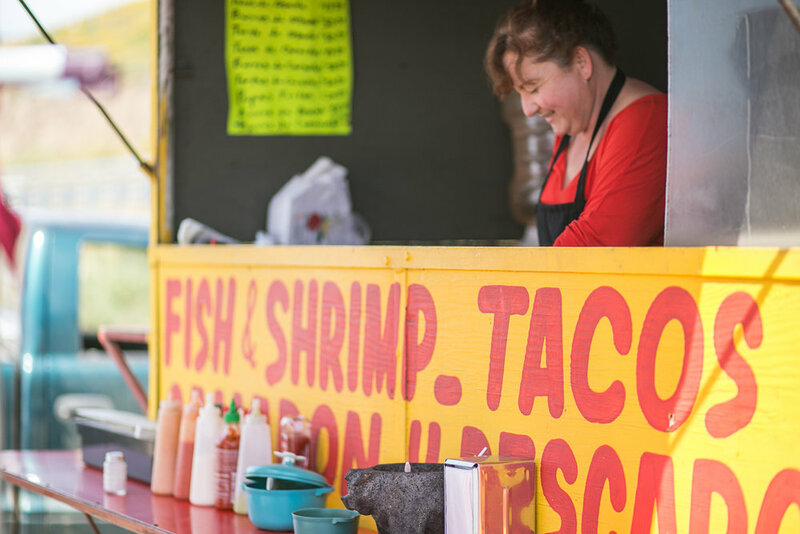 We went to this tasty little road side taco stand, that made the most delicious tacos and burritos. We ate with everyone, enjoyed our last sunset and headed out Saturday evening since I had a shoot early sunday morning. If you have any questions about where we went or need recommendations of what to do, just let me know!